It is with great pleasure that we are announcing our new avatar gallery. Thanks to the wonderful Skylar and her artistic talents we now have 21 lovely Alex avatars up for grabs in our new avatar gallery. Once again thanks to Sky for all the beautiful avatars. Thanks Skylar for the beautiful avatars! I'm sure the members will enjoy the options. P.S. If you previously used a Gallery Avatar and you seem to be missing it now, you'll need to choose again. When we added the new Avatars, we needed to categorize them so some have been moved and renamed. Sorry for the inconvenience, but it was unavoidable. It was easy to follow, which is great for me, but only had 4 Moonlight choices and I still love the avi I already have more than those four. Thank you Sky for giving me the options and the ease of access. Karen I only started building the gallery up from the one page two days ago and haven't done Moonlight yet. I wanted to do the easy ones first. There are so many choices for ML and BUP deciding will be difficult. But rest assured, many more will come! It's my pleasure to make them. Gorgeous, gorgeous, gorgeous and soooo many look at. Thanks so much Sky. Thanks Sky. I'll check later, but it's going to be hard to top that beautiful loke on Mick's face in the one I have now! Aww! I love your avi, Karen! Possibly the most beautiful Mick picture! Thanks again to Sky! There are now over 30 Moonlight avatars to choose from! There are a couple of them that I am not happy with as they are fuzzy so if anyone has a better pic please PM me with them. Thanks! Skylar wrote: There are a couple of them that I am not happy with as they are fuzzy so if anyone has a better pic please PM me with them. Thanks! Thanks Sharon. 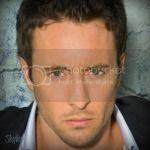 I'm trying to avoid watermarked pics to make avis where possible as it's easier givien the small dimensions of an avi. But also I don't know which epis each cap is from the way most of you do. With my eyesight difficulties over the past 5 years I have had to seriously limit the tv and computer until recently. The avatar selection is growing! We've now added avis for Criminal Minds and Whiteout thanks to Sky's mad capping skills! 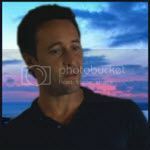 Skylar, thanks so much for all the beautiful avis to select from.